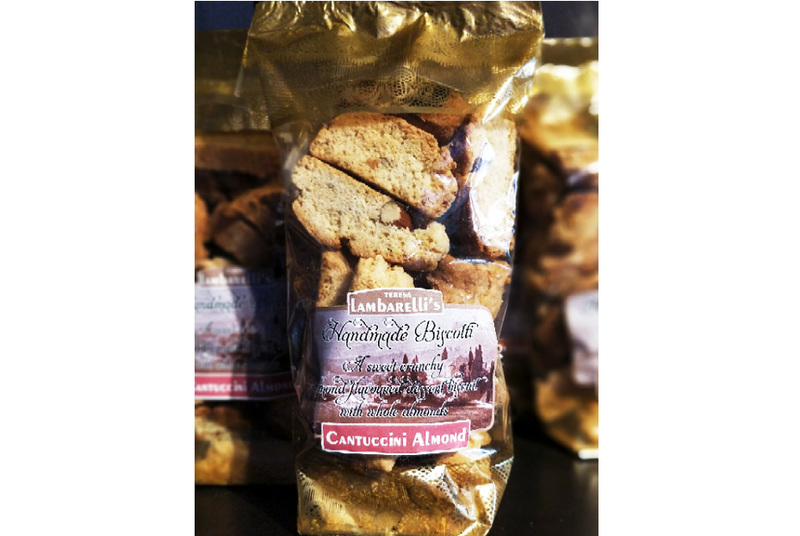 Cantuccini Biscotti – a sweet crunchy almond flavoured traditional Italian dessert biscuit with whole almonds. 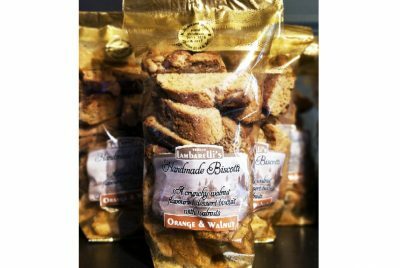 My hand made cantuccini biscotti are traditionally served with coffee but they are delicious served with Vin Santo a very sweet Italian wine. 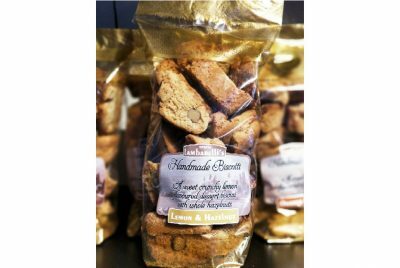 Ingredients : WHEAT flour, sugar, whole ALMONDS 14%, BUTTER, EGGS, polenta,ground almonds 4%, raising agent (SODIUM carbonate, disodium diphosphate), ALMOND extract, sunflower oil, ALMOND flavouring essence, vanilla extract.